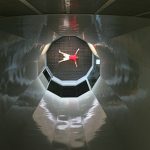 In cooperation with the aerospace department of the Technische Universität Berlin, Indoor Skydiving Germany Group translated leading German windtunnel technology into a freefall simulator and developed the latest state-of-the art recirculator in Göttinger Design. In May 2008, ISG laid the foundation for the reference facility in Bottrop, Germany, after a one year research and development phase. 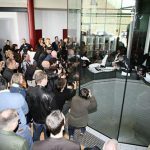 Indoor Skydiving Bottrop opened on 20 March 2009 with significant press and media attention. Since that date, the high-performance facility is open for entertainment and Pro-Flyer operations. 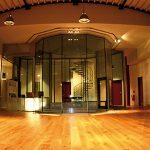 The 32 meter (105 ft) height over all building offers the highest flight chamber in Europe with a total height of 17 meters (56 ft). 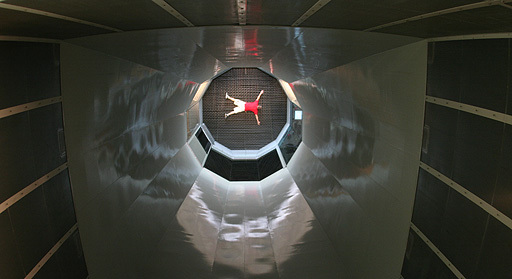 The windtunnel flight chamber offers room for any form of four-man team training with a diameter of 4,26 m (14 ft). 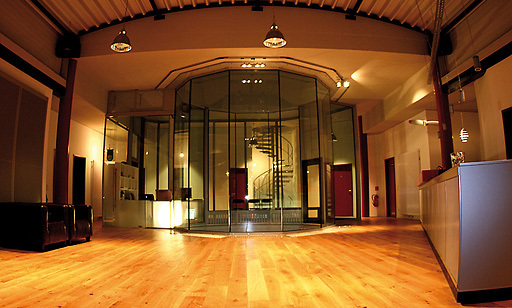 Integrated into the service building, the full glass flight chamber allows spectators to enjoy breathtaking flying manouvres and trainings upon entrance into the building. The service building offers several training and briefing rooms for professionals, administration offices, changing rooms, restrooms and a snack bar.